Landlord-tenant laws in California are heavily skewed to favor the tenant, but there are some steps landlords can take to protect themselves. One good way a landlord can protect himself, of course, is to have a written lease agreement that the landlord requires the tenant to sign before moving in and taking possession of the rental unit. The landlord can lay out what he requires of the tenant in the agreement, including whether he can have pets, whether he can sublet and details such as late charges. If the landlord has such clauses in writing, signed by the tenant, he can evict if the tenant later on if the tenant violates the agreement. Generally, to evict a tenant based on the breach of a covenant in the agreement requires a 3-Day Notice to Perform Covenant or Quit. It’s important to note that there are several reasons landlords can evict tenants under California law, the most common is for not paying rent unless the landlord has other terms in a written rental agreement. If there is an oral agreement, it is difficult or even impossible to evict even if, say, tenants verbally agreed not to have pets and then later take in pets. Leases may be verbal, but they don’t hold much water when it comes to protecting landlords’ rights if a tenant starts taking in pets when there was an oral agreement that he would not have pets. 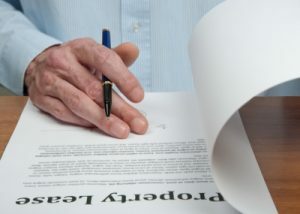 If the lease is for a term, such as a 1 or 2-year lease, it must be in writing according to law, there is no such thing as an oral lease for a term. All oral agreements in California are considered Month to Month. If it is a week to week or month to month, it can be verbal. Landlords should require written leases even if the term is for less than a year. Some cities have rent-control agreements, including Berkeley, Beverly Hills, Cotati, East Palo Alto, Hayward, Los Angeles, Los Gatos, Oakland, Palm Springs, San Francisco, San Jose, Santa Monica, Thousand Oaks and West Hollywood. But even their landlords have some protections in that they can raise the rent up to 3 percent per year. The landlord cannot catch up. For example, if the landlord doesn’t raise the rent for 2 years, then the landlord can’t raise the rent 6 percent to catch up. It is important to note that California law no longer allows deposits to be charged for separate items, such as cleaning, water beds, security, last-month’s rent, etc. They are all grouped into one security deposit, so be sure to make the deposit sufficient to cover any costs that could possibly be anticipated. For example, if the tenant will have pets, make sure to make the deposit big enough to pay for repairs to damages pets may make. And landlords may not charge extra for service dogs of tenants with a physical disability, sight impairment or hearing impairment. Also, landlords may not refuse to rent to such people based on their disability alone. A landlord could legally choose to rent to another tenant over a disabled one, but it could not be because of the disability. Several cities require landlords to pay interest on the deposit, including many of those listed above in the rent-control paragraph. Security deposits may equal two months’ rent on unfurnished apartments or three months’ on furnished apartments, so there is considerable protection for landlords in that provision of state law. In addition, another half-month of rent may be added for a water bed. It’s interesting to note that landlords do have added protection from any unexpected damages from water beds. Tenants must allow landlords to be present when water beds are installed and can require such beds to conform to floor weight-load limits. If the building was built before 1972, a landlord may refuse to allow a water bed. And they can require tenants to have insurance of $100,000 minimum. Landlords must keep the building and grounds up to code, presentable and safe, including plumbing, electric, heating, locks and garbage removal. But if a tenant violates legal obligations of maintenance and these violations prevent the landlord from doing repairs, the landlord may avoid such repairs, especially if the tenant keeps violating his obligations to maintain his rental unit. Landlords should know that if they fail to do necessary repairs, tenants may do them and deduct the cost from the rent or even vacate the lease without losing security deposits (See California Civil Code 1942.). If the needed repairs subject tenants to danger or unsanitary conditions, tenants may even withhold the rent. So one-way landlords can protect rental income is to keep the grounds, buildings, and units in safe, sanitary, healthful, good repair. Another protection landlords have is if they have a yearly lease with the tenant, after the one year is up it reverts to a month-to-month lease at the end of the term—but all of the terms and conditions of the yearly lease still apply if the tenant holds over on a month to month basis, (See Civil Code 1945). That is, if the lease agreement said no pets and no subletting, those conditions still apply on a month to month basis. Finally, you can always protect yourself from keeping what you consider to be bad tenants by having a fixed term lease that ends on a certain date. After the end of the fixed term, the landlord and tenant can part ways, go on a month to month basis or sign a new lease. If they were bad tenants and you have this clause in the lease, you are not obligated to keep them on after the term of the lease ends. For help with an eviction or questions about how to further protect your right, do not hesitate to contact us today.